The 26-year old Grass Valley, CA native once again showed that him and his Go FAS Racing team do so much with so little. DiBenedetto drove his No. 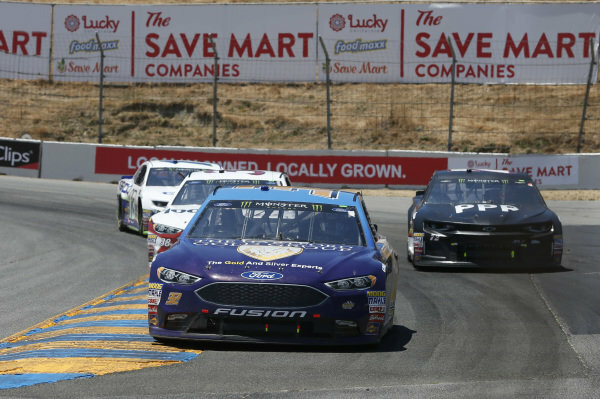 32 Hardford Gold Group Ford Fusion to a solid 17th place finish at Sonoma Raceway on Sunday and he did so with no air conditioning the entire race. Furthermore, the finish also marked the driver’s best career finish at the road course. His previous best finish was 23rd in this race a season ago. It was exactly the finish that the driver known as DiBurrito and his team needed after a rough few weeks that included an oil leak to break issues. The team literally couldn’t catch a lucky break but as always, they kept pushing forward each week knowing better results were on the horizon. 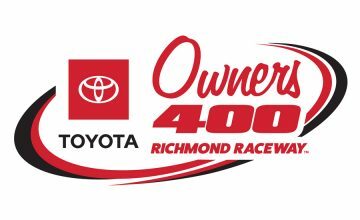 DiBenedetto finish of 22nd at Kansas was his best result until the conclusion of Sunday’s Toyota Save Mart 350. A top-20 is a big deal for a team who has about as many employees that you can count on both hands. It’s a finish that gives both team and driver momentum to carry over into Chicagoland Speedway for next weekend’s Overton’s 400. It may not seem like much to some but at this point in the season DiBenedetto has earned one more top-20 than at this time last season. He also has eight finishes in 2018 to this point that resulted in a Top-25 place finish or better. In 2017 at this time he only had four. That is huge progress for a team that does so much with so little resources. Go FAS Racing will be the first to tell you they don’t have everything the big teams do. However, it goes without saying that their improvements this season show they have plenty of drive and passion for this sport and confidence in their driver. Sponsorship is huge in the sport of NASCAR, even more so for the smaller teams. 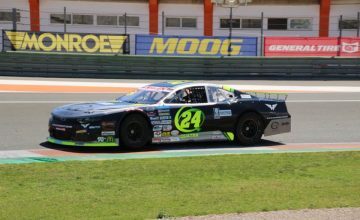 With each solid finish and by bringing home the race car in one piece the team has regularly been able to sign on new sponsors this season such as Zynga Poker and The Hartford Gold Group to name a couple. Next up, DiBenedetto and his No. 32 team will head to Chicagoland Speedway looking to improve upon a 31st place finish last season.